Anthony “Rumble” Johnson (16-4 MMA, 7-4 UFC) is headed back to the UFC, this after putting together a six-fight winning streak outside the organization. Dana White announced the signing earlier this morning and announced that “Rumble” will face Phil Davis (12-1 MMA, 8-1 UFC) in his return to the octagon this April. 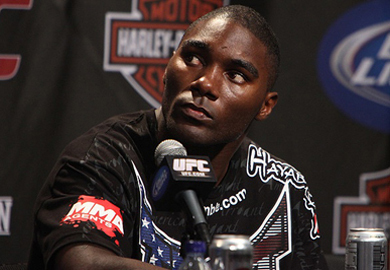 “Rumble” had done well in his first-run with the UFC, earning six of his seven wins by way of knockout. However, the knock on Anthony was the fact that he could never consistently make weight. 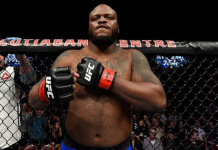 His struggles making both the welterweight and middleweight limit forced him to change things up, and now it seems he’s found a permanent home at light heavyweight. Meanwhile, Phil Davis has proven he is one of the best fighters in the UFC’s 205-pound division. “Mr. 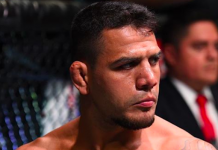 Wonderful” last fought in August, where he scored a decision victory over former champion Lyoto Machida. Since a 2012 loss to Rashad Evans, Phil Davis has put together 3 straight wins and will be looking to make it four by spoiling “Rumble’s” promotional return this April. The UFC 172 event takes place on April 26 live from Maryland’s Baltimore Arena. The evenings main card will air on pay-per-view, with the prelims airing live on FOX Sports 1. UFC 172 is headlined by a light heavyweight title bout between current champion Jon Jones and number 1 contender Glover Teixeira. 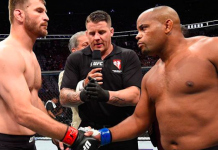 Who do you have winning this key light heavyweight bout? Let’s hear it Penn Nation!